Morristown Taxi in NJ, specialize in all last minute Taxi Services, for Newark Airport, Local and Long Distance Rides. Morristown Taxi, a family owned business from the neighborhood has been serving the community since 1998. Taxi, Car and van Service available in Morristown, NJ provided by Morristown Taxi! Direct, non-stop, You don’t have to share with a stranger. 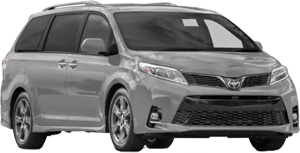 Get to the airport or other ports of call with a convenient ride in a mini van,Taxi Van where up to 6 passengers can ride for the price of one, Travel, Taxi Van or Car. Fit the whole family and luggage in our taxi Van. We don’t charge by the person. Let us do the driving, enjoy your trip. We provide a private, comfortable, worry-free and smoke free environment in which to get you where you need to be. Let us be your designated driver. We’ll worry about the driving so you can enjoy your night. Flat rates by the hour are available to guarantee your ride. Guests in town? Looking for something to do without a big hassle? Take a tour in our taxi van and you can go to venues throughout New Jersey with a low flat hourly rate no meter rate. Ideas include shopping, movies, and sightseeing, without the traffic and directions hassle. Our fleet of taxi cabs are well-maintained and driven by experienced couretous local driver to take you to your destination on-time with utmost comfort and safely. We needed a ride to Penn Train Station from morris plain ordered morristown taxi. Our driver showed up before the scheduled pick up time and was so polite and helpful. We chatted with him the entire ride and arrived safe and on time!! The vehicle was comfortable and clean and the cost was very reasonable. We will be using them again soon. If you want a prompt, reliable, affordable, courteous ride from newark airport to morristown, call these guys. I dropped in to Newark unannounced on New Year's Day at an obscure location at the airport. Within 10 minutes I order cab there waiting. Great service all the way. Wow and thank you, morristown taxi! You exceeded my expectations and provided my daughter a great, easy, safe ride from Newark airport to madison. I was nervous as she was traveling alone and you were not only reliable, but reasonably priced and gave us great customer service. The car was nice, new. Thank you again for taking one stress off my plate. we will use again the next time we are in the area. Morristown Taxi in NJ, specialize in all last minute Taxi Services, for Newark Airport,Local & Long Distance. Call us on 973-539-5399, We will send a taxi to you, wherever you are to take you to your destination Safe and On-Time. © Copyrights 2013-2019 Morristown Taxi Service. All Rights Reserved.